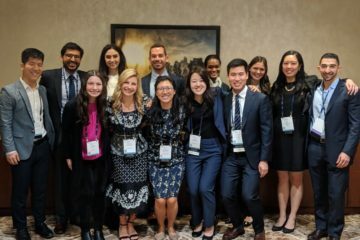 Excelling in the Medicine and Surgery clerkships is key for a successful IR or DR residency application. Besides professionalism, enthusiasm and demonstrating competence on the wards, exam performance is paramount. Scores are often used as the differentiating factor among students with similar, largely subjective, written evaluations. 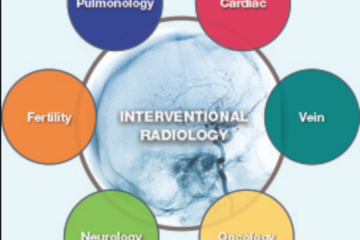 We collected tips from current Interventional Radiology residents and fellows with plans to pursue IR. Our sources have exemplary track records. We hope their comments will give rising third year students the edge when it comes to exam preparation. The Medicine Shelf exam, or your school’s internal substituting exam, is interested in expertise in patient assessment and the ability to process clinical scenarios. The primary study resources listed for preparation included Case Files: Internal Medicine, USMLE World Step 2 CK Question Bank, and Step-Up to Medicine. One trainee mentioned the utility of skimming the high-yield section of First Aid for the USMLE Step 2 CK prior to the start of the rotation in order to be familiar with high-yield concepts. The most recommended resource, however, was the MKSAP for Students publication series published by the American College of Physicians. It was noted that the MKSAP and UWorld questions were the most similar in content and style to those encountered on the Shelf exam. 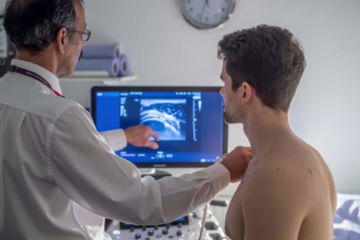 Secondary resources used for preparing for Medicine included largely case-based review books including Step-Up to Medicine, Kaplan Internal Medicine and Case Files. Also mentioned were lecture material, and of course learning through asking questions about the management of the patients on the service. Having a question bank on a phone or tablet proves an industrious use of down time during the day, reducing the study burden in the evenings. One respondent advocated for a long-term view of medical education as a component of an ultimate knowledge base in Radiology. He emphasized the importance of having, “a reference to guide you through the specific details of disease processes and management. A larger reference to guide you is imperative such as Harrison’s Principle of Internal Medicine. The amount of reading is less important here, but strategically, reading through complete sections is more important to fully grasp concepts of disease entities. This will not only help you for the IM rotation, but for other rotations, and for the future as a Radiology resident. If you are interested in Radiology, the things that are not necessarily tested on the Shelf are still rather important. For instance, most questions on variceal hemorrhage will be on first or second line treatments, but the entire treatment algorithm is important because, as an IR resident, you will need to know what treatments are indicated, what failed, etc., when getting a call for a Transjugular Intrahepatic Portosystemic Shunt (TIPS) placement.” If comprehensive online sources are more appealing to you, UpToDate is a great alternative. For questions during rounds, Master the Wards: Internal Medicine Clerkship was a great resource. Approaches to preparation for the Surgery clerkship and exam were similar in that primary sources listed were Case Files: Surgery and USMLE World. The gastrointestinal, electrolyte, and hepatology questions in the USMLE World Medicine section were also noted as useful review, especially if your Surgery clerkship comes first. In addition, favorites included NMS Surgery Casebook and Kaplan Surgery videos for training your acumen to recognize presentation patterns and understand the basic indication for operations. Whereas the question bank stayed true to the medicine-centered Shelf exam, NMS and Kaplan videos gave further detail about surgical anatomy, workup, and approach. Supplemental sources used were anatomy atlases, and resident lectures. Dr. Pestana’s Surgery Notes was unanimously promoted as sturdy Shelf preparation, especially useful for a quick review a few days prior to sitting. One trainee made a habit of looking up illustrative photos of unclear concepts and saving them for review at a later time. In anticipation of pimping questions, having Surgical Recall in your white coat for quick review can be very useful. So with these words of wisdom, we wish all rising Third Year students the best this year—some would argue the most transformative year of your career!